Devin Henry, pictured, packed the Colony Club Saturday night to help raise funds for suicide prevention and awareness. 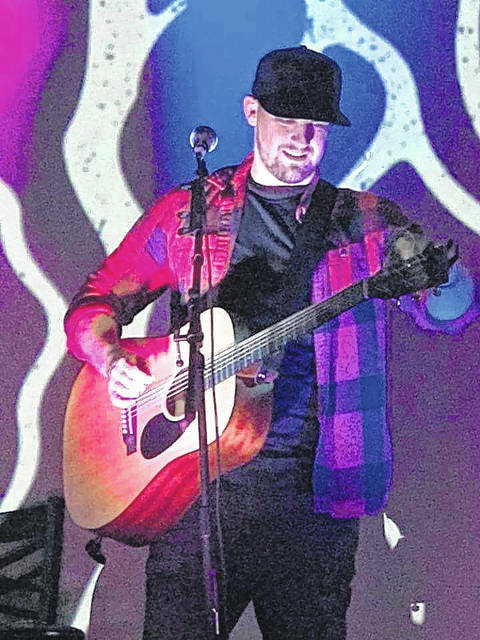 GALLIPOLIS — Singer songwriter Devin Henry performed Saturday night at the Colony Club in front of a sold out venue, but he wasn’t the main star of the evening. Yes, Henry headlined the evening but all the proceeds are going to the Suicide Intervention Project (SIP) and the Suicide Prevention Coalition (SPC) in honor of the late Anthony Sipple. The idea started several months ago when Henry wanted to organize a big event in town as a way to give back to the community. In his preparation for such an event, a concert at the Colony Club on Second Avenue, Henry sought out a meaningful cause to support. “Something that means a lot to me and is near and close to my heart was the suicide intervention project for Anthony Sipple. I was thinking, what could I do to help out, and looking at numbers and what I could do, this could be a really good thing for them,” said Henry. The SPC and SIP are currently working to raise money in order to bring in speakers to Gallia County schools to help raise awareness of the problem of suicide and hopefully prevent students from committing the act. Henry also wrote a song in memory of Sipple, called “23 Empty” which he performed that evening. While he played, a bucket was passed around the crowd for collections in addition to other funds raised that evening. “I want to thank everybody that helped pull it off. I cannot thank any of the sponsors that helped me enough because it helped bring people in. From the beginning I didn’t announce what this was about. I don’t want people to think I used that as a platform to gather people. All the sponsors knew beforehand what was going on, but I cannot thank them enough and for everyone that showed up enough because it was their money that helped,” said Henry.